Modern Style – First of all, a glass shower door or enclosure adds a modern style that is unmatched. A conventional shower tub is still commonplace among older homes, so wouldn’t you want to be the talk of the neighborhood on how extravagant your new bathroom is? Durability – When searching for the correct shower for your home, glass showers may not be the first choice because you may have a concern on the strength of the glass. This shouldn’t be the case as shower door and enclosures are made from strong tempered glass, which has proven time and time again that it stands up against almost any hiccup you throw at it. Value – We know for sure that a glass shower adds style to your bathroom, but did you know it can increase the value of your home? 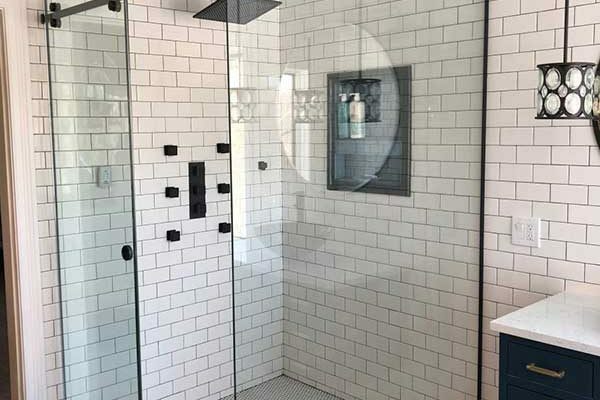 A glass shower can instantly add to the cost of your home if you are selling, making it ideal if you are looking for a higher asking price than what it was appraised for.